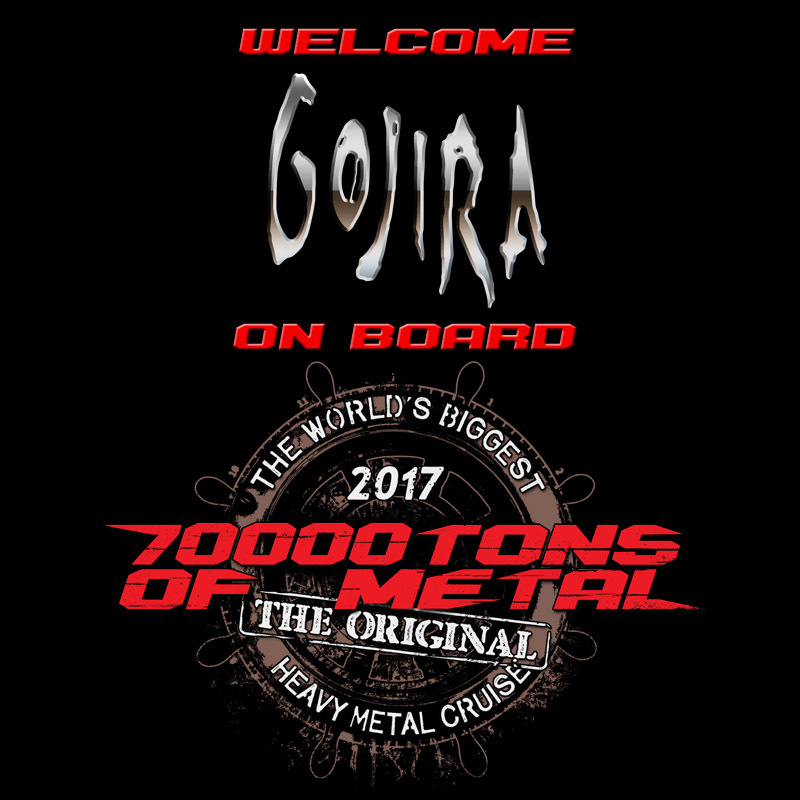 French metal titans GOJIRA will be joining us on board Round 7 of 70000TONS OF METAL, The Original, The World’s Biggest Heavy Metal Cruise. Our 154,000ton luxury cruise liner just became the heaviest ship in the universe! PUBLIC SALES for 70000TONS OF METAL 2017 will start on Tuesday, August 16, 2016 at 3PM EDT / 9PM CEST. Don’t miss the boat! Book your cabin as soon as the gates open and step on board with sailors from over 70 different countries!